Happy July! 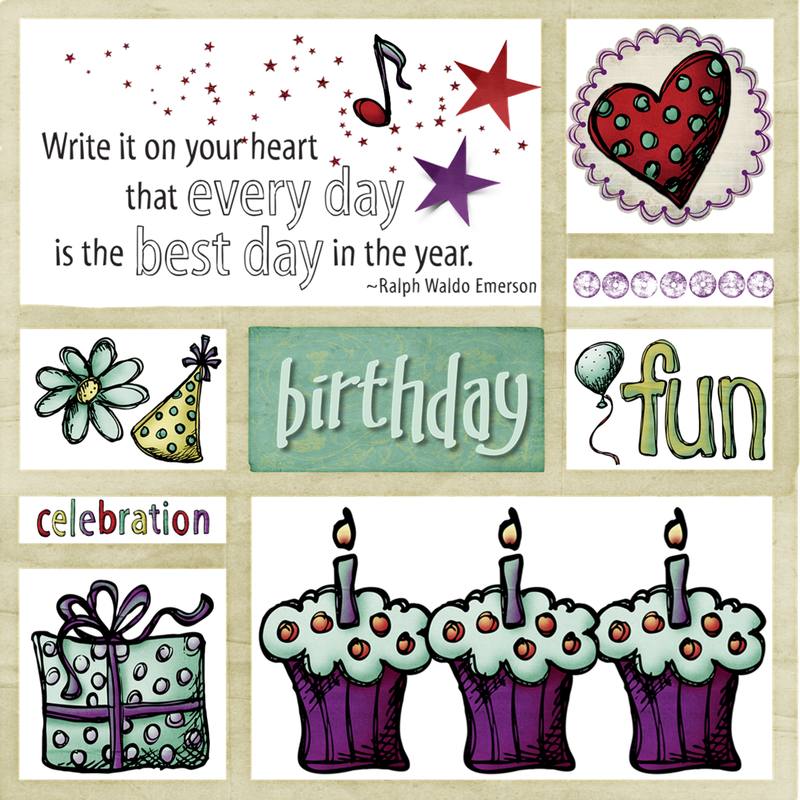 Creative Memories is celebrating their 25th birthday this month. They have lots of special things planned and some great opportunities to save. There is a 25% off sale on their top 25 picks which runs from July 1 - 25th. 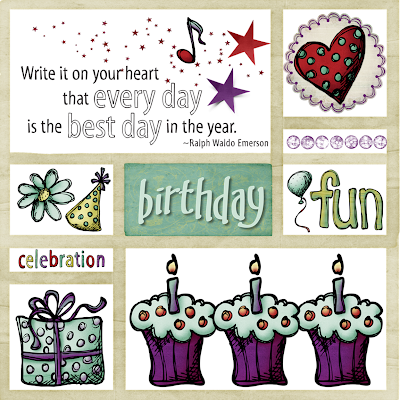 Click HERE to go to the sale page and click HERE to read more about the Birthday Bash. Here are the first 14 items that are on sale (please click on the image to make the photo larger). 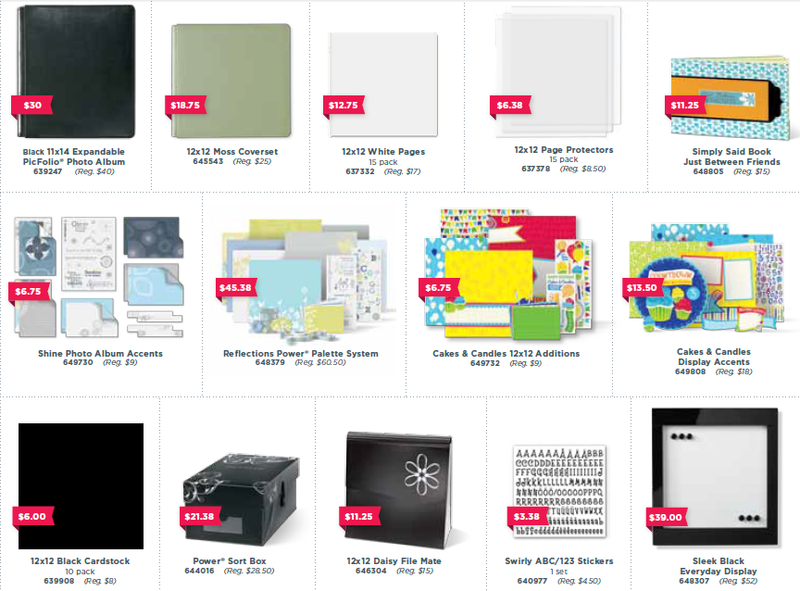 These are the rest of the sale items. 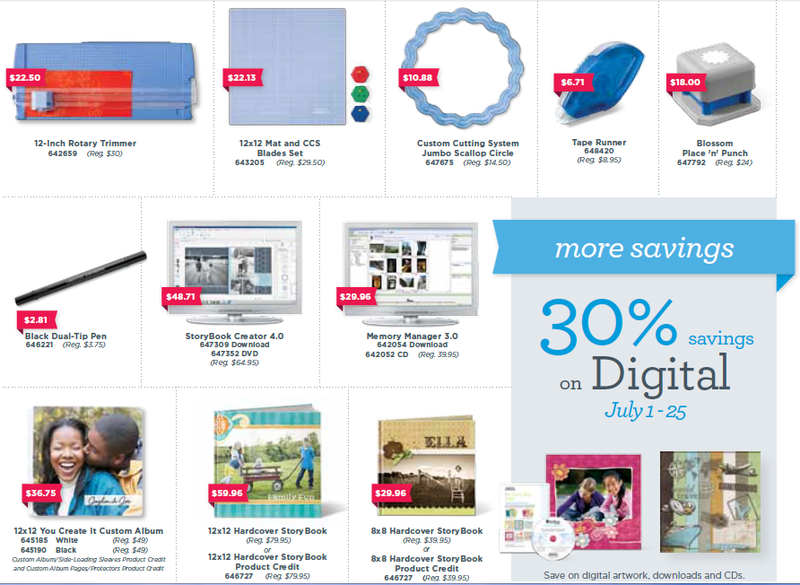 Both the Memory Manager and the StoryBook Creator programs are on sale. There is an updated version of Memory Manager coming soon, so the price is $19.95 for the full 3.0 version and $5.95 for the upgrade from 2.0 to 3.0 starting today. This price will continue until the new 4.0 version of Memory Manager is available. I don't know yet what the price will be for the 4.0 Program or the upgrade from 3.0 to 4.0, but I will let you know as soon as that information is available. Memory Manager is the program I use to do all of my photo editing and organization. 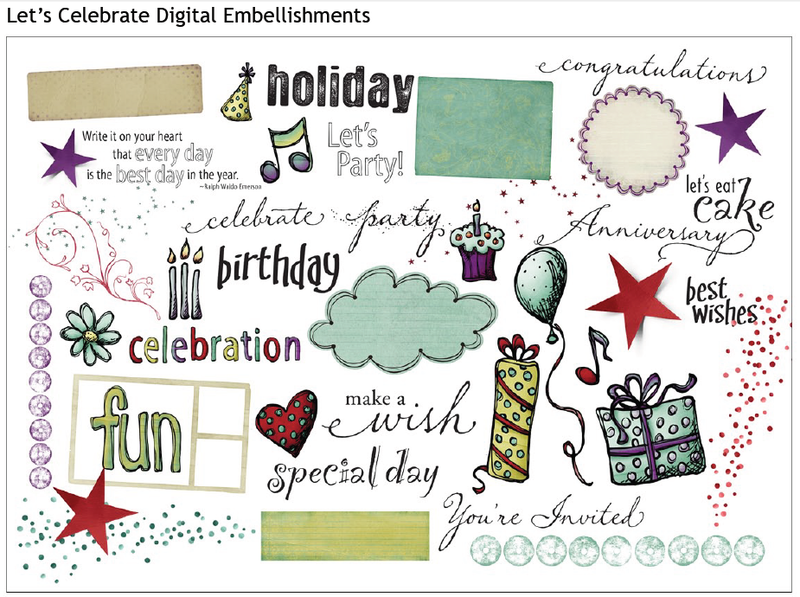 StoryBook Creator is the digital scrapping (and so much more) creative program. I have worked with both of the programs for years now and they just keep getting better and better. 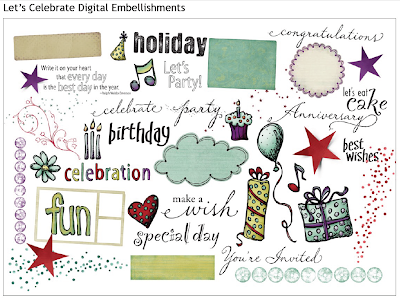 To celebrate reaching the goal of over 2500 parties booked for July 1 - 15th, Creative Memories is offering this free set of celebration embellishments in both StoryBook and Universal formats on their Facebook page. Please "like" their page HERE to find the links for this fun set of 42 images and words (I used only this set to make the page at the top of this post). You'll find the links in a post on the Facebook page dated June 27th. You can get a free 30 day trial version of Storybook Creator 4.0 by clicking HERE. During the month of July, you can also join the Rewards Club for $25 - a savings of $14 from the usual price of $39. When you join, you receive and immediate credit of $10 and then earn a club credit of 15% of the retail amount of each order you make. Click HERE to go to the Rewards Club page. If you do not have a local Creative Memories consultant, I would be happy to help you with any questions. You can shop on my Creative Memories personal website and have your order delivered directly to your address. I have been working on a big project - "rescuing" photos and memorabilia from some old "magnetic" albums. If you have any treasured photos or papers in an old album of this type, you should remove them as soon as you can to avoid further deterioration caused by the adhesives and plastics that were used for the books. What are your plans for the Fourth? 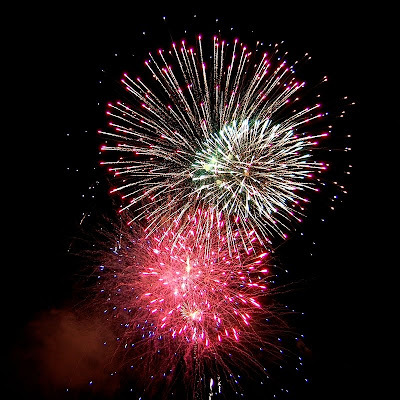 Does your town or city put on a fireworks display? We don't have fireworks in our town every year and usually stay home to watch the festivities at the Boston Pops concert on the Esplanade from the comfort of our couch! Hi Diane, I really need a new set of red, green and blue blades. Can I order those from you. I sent you an email with the info for ordering - thanks! We are at the lake over the 4th and since Michigan just lifted the ban on fireworks, I'm sure we'll be seeing a show all around the lake. We stay home hugging our scared little dog. We have to give her doggy vallium! Our city has a beautiful fireworks show on the watrefront, but we never go. The noise level is pretty loud around here until taverns close at 2:00 a.m.
Hope your Dad is going better. I have that type of photo album too and it's really annoying to see the damages on the photos over the years of being kept in the album. I never tried to take them out before but I will now. This will be the first year ever without a fireworks display for me. But, here is Colorado, it is just not worth the risk! VERY tough penalties (they say they WILL enforce) this year! And I have to say I have not heard any! Will just have to enjoy televised displays this year.